Sponsored Post: Should You Consult with An Expert for Insurance and Benefits for Your Business? Disclosure: This is a sponsored blog post. If you own a small business, you may be focused on trying to handle everything all on your own. Let’s be honest – that’s the typical M.O. of an entrepreneur – to wear all the hats. But hiring professionals to assist you is a good idea. Not only can you not handle everything without losing your mind, but you can’t possibly know everything you need to know to effectively make decisions that are in the best interests of your business and your team. We talk a lot about lawyers and accountants and of course you know that we stand strong on hiring coaches to help you perform at your peak level, but there’s another person you should be considering: an insurance and benefits consultant. A consultant is a subject matter expert who provides you with information and helps you to make decisions. While it may take you a long time to get up to speed on complex topics, an insurance and benefits consultant is already an expert in the area of employee insurance and benefits. Insurance and benefits consulting can help you to successfully navigate the laws and requirements that dictate what benefits or insurance coverage you must offer to your employees. This is an ever-changing field, so staying up-to-date with the most current guidelines can be very difficult. Part of being a successful business owner is knowing when you should bring in an expert- this is likely one of those times. A consultant can assist you with developing your employee benefits package, including insurance. He or she can explain your options and legal requirements, while also simplifying things so you will be able to understand them clearly without having to deep dive into the details. He or she will also help you with enrollment and with setting up the program within your business. Perhaps the most important thing a consultant can do for you is making sure your business is compliant with the law. There are many different legal requirements you have to meet when it comes to benefits and insurance, and the requirements are subject to change. Anything you’ve guaranteed or offered to your employees as part of your hiring agreement is something you are legally required to provide them, of course. So for example, even if you aren’t legally required to provide insurance based on, say, the size of your business, if you’ve made a commitment to your employees, you actually are legally bound to honor that commitment. Another insurance you’ll need to be concerned with is unemployment insurance. While this isn’t really something you’ll offer directly to your employees, it will benefit them. 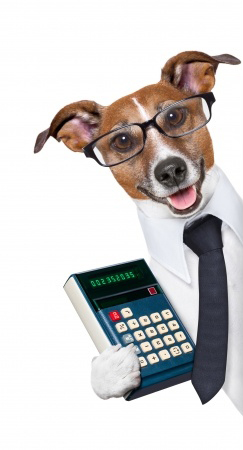 It may also be a legal requirement for your business, depending on the size. Unemployment insurance is set up through your state. Worker’s compensation is another requirement handled by the state, though you can go through a private company. A consultant can help you find the best rates and guide you in making the decisions that will work best for your business. You also have to consider benefits when an employee takes a leave of absence. While federal law does not dictate monetary leave benefits, some states do require leave payments in some situations. Additionally, you’ll likely have to follow the Family and Medical Leave Act, which means you may have to allow employees time off due to certain situations without it affecting their job. Requirements are largely based on the size of your business. Knowing your legal benefit and insurance requirements can be challenging because the requirements can change, especially when it comes to health care. However, when you work with an insurance and benefits counselor, some of the stress can be alleviated. 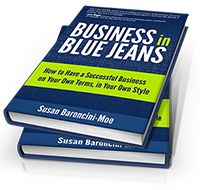 David Solomon is one of the Executive Assistants for Business in Blue Jeans CEO Susan Baroncini-Moe. He is studying marketing and entrepreneurship and hopes to move into a consultative role at Business in Blue Jeans in the future.